It is essential that veterinary surgeons are included in government plans to scrap the cap on skilled workers from the EU and elsewhere, according to the British Veterinary Association (BVA). The Association is warning that the proposed salary thresholds may threaten the status of EU vets carrying out critical but comparatively low-paid roles in public health. The Immigration White Paper, released today, includes plans to scrap the cap for skilled workers, such as doctors and engineers, and a consultation on a minimum salary requirement of £30,000 for skilled migrants seeking five-year visas. BVA is warning that a £30,000 threshold for EU workers could lead to a near-total wipeout of veterinary surgeons in critical public health roles in UK slaughterhouses, with devastating consequences for UK trade. Starting salaries for Official Veterinarians monitoring standards, food safety and animal health and welfare in abattoirs are in the mid-£20,000s, meaning that imposing this threshold following consultation could jeopardise the capacity of this vital and specialist section of the workforce. Around 95% of Official Veterinarians working in UK abattoirs are from overseas, predominantly the EU. BVA has repeatedly warned that any new immigration measures must consider the veterinary profession’s high reliance on the EU for workforce supply and mitigate against shortages and disproportionate impacts in the public health arena. Simon Doherty, President of the British Veterinary Association, said: “The veterinary profession is already facing a workforce crisis and we are hugely reliant on overseas vets, particularly our colleagues from the EU. 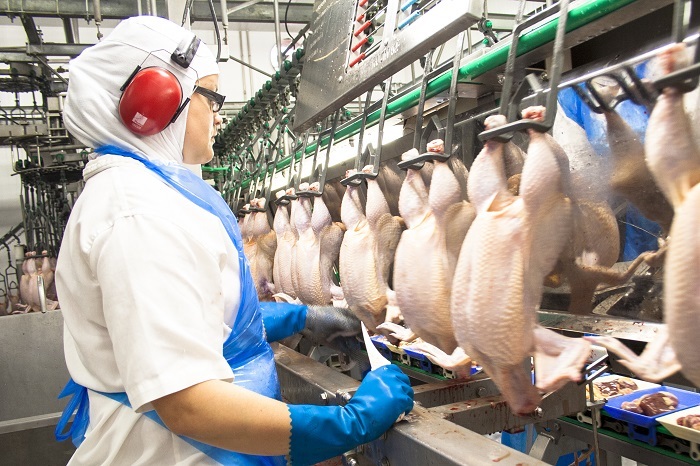 “Veterinary surgeons in abattoirs are highly skilled and carry out critical roles ensuring food safety, safeguarding animal welfare and enabling the UK’s trade in animal products. But many won’t meet the proposed £30,000 salary threshold. “When the Home Secretary lifted the cap on non-EU health sector workers in June, BVA called for vets to be included. We reiterate that call today for the immigration cap to be lifted on vets. “We will continue to engage with Government as the Immigration Bill progresses to make the case for the veterinary workforce’s capacity needs, as well as the multiple benefits that non-UK vets and the wider workforce realise across animal health and welfare and public health. BVA and the profession’s regulator, the Royal College of Veterinary Surgeons, are currently working on a joint response to the Migration Advisory Committee’s call for evidence on the shortage occupation list review 2018.